Not much new to report this week from a writer standpoint. I’m still writing. Working on a short story for a themed anthology I’ve been invited to be a part of, but I can’t say too much about it at this point except to say I’m really enjoying the piece. And it always feels good to be writing. My TESSpecFic group is getting ready to start a series of posts on the genre of Horror and the subsequent problems of having such a broad stroke label for a genre that may be interpreted differently by many different readers and writers. Okay, that last part is what my post will be about next Friday. Other group members are perhaps taking a different approach to the topic. I first met Hunter when I started this crazy blog thing almost ten months ago. He was actually the second author to whom I posed my Seven Questions (you can find that interview by clicking here). In addition to writing and blogging, Hunter is a co-host of “Monster Men,” a podcast with Jack Campisi about all things Horror (with special emphasis on cinema). When I interviewed Hunter the first time, it was not long after the release of his first novel, Forest of Shadows, through Samhain Publishing. Recently Hunter released his second novel, Evil Eternal. I read an excerpt from his website (which I’ll link to at the end), and let me tell you, that title pretty well sums up the excerpt I read. But more than all that, beyond a colleague, I have a feeling that Hunter would be a “real life” friend of mine as well. We are, right now, in the greatest era for horror fiction of all time. I’ve been on this green and blue orb for over 40 years and a horror hound for as long as I can remember. For the first time I can remember, I can find horror fare (from top notch quality to oh-so-bad but you just have to watch) everywhere! I don’t ever remember so many horror movies in theaters. I recently saw a list that showed just the top 115 of 2011! There were some real frights out there, from Paranormal Activity 3 to Insidious and The Troll Hunter. Recent remakes have turned out to be pretty damn good, like The Crazies, Let Me In, Don’t Be Afraid of the Dark, and the amazingly enjoyable Piranha. And don’t forget the slew of direct to video flix that give you everything from gore galore to holy crap, I’ve become less of a human being for watching this (that’s right, I’m talking about you, Human Centipede 2!). When I went to my local Barnes & Noble, I was able to buy 4 horror themed magazines (tried and true Fangoria, Horrorhound, Rue Morgue, and Famous Monsters) while still leaving others on the shelf for later. Then I picked up the latest Walking Dead compilation and Brian Keene’s comic, The Last Zombie. Speaking of The Walking Dead, is there a hotter show on TV? I think not. Just as good and even more terrifying is American Horror Story. That series had a what-the-hell moment in every episode. Television is loaded for bear with horror, with shows like Supernatural, True Blood, Being Human, Dexter, Fact or Faked : Paranormal Files and too many others to name. Now TV also has channels solely dedicated to horror, like Fearnet and Chiller TV. Sweet. And even though bookstores no longer have horror sections, buying has moved to the internet and e-books where there are more great books to read than you can get through in a lifetime. Publishers like Deadite Press, Cemetery Dance, Thunderstorm Books and my own publisher, Samhain Publishing (who has just released my 2nd novel, Evil Eternal), are putting out a greater quantity of books by more incredible authors than ever before. My to-read pile seems to be perpetually three feet high, and that’s not including what’s on my Kindle. — On a side note, I predict that Samhain Publishing, which started its horror line just last October, will become the biggest publisher of horror in the country. Think the old Dorchester line, but on steroids and HGH. Last but not least, if you really want to get a horror high, go to one of the dozens and dozens of national and local horror conventions that are on all year round. I suggest Chiller Theatre, Horrorfind, Horror Hound, Killer Con and the World Horror Convention. There you get to mingle with stars, directors, writers and other like-minded horror junkies. Always a total blast, and you will meet and mingle with legends in the field. Can you tell I’m really stoked about the state of the industry right now? I’ve become so excited about it that I even started a video podcast in 2011 called The Monster Men so my buddy and I could bring all things horror to the public. With so much out there, we think people need a tour guide with a healthy sense of humor, because scares and laughs have always gone hand in hand. When I’m not podcasting, I’m always writing. From ghosts (Forest of Shadows) to demons (Evil Eternal), it’s been a privilege to be part of the ranks that live to scare you. I may be a horror writer, but I am, and always will be, a fan first. Embrace the terror. It’s everywhere you look! What did you think about Hunter’s guest post? I really like his sentiments, but I’ve saved my own thoughts to respond to your comments. Hunter is also offering a signed copy of Forest of Shadows to one of my commenters. Finally, don’t forget to check back next Friday for my discussion of the troubles of the “Horror” genre label. I agree about the great age for horror writers. Horror was what I was weaned on, and I’m so happy about the current genre-blending releases I see. Your covers are great, Hunter, I especially love FOREST OF SHADOWS! Thanks for the interview, Paul. Thanks again for your comment. Have a good weekend. First, I want to say that I discovered Monster Men just the other day, and gorged on them. More! I agree that there’s a lot of good stuff out there right now, and a lot of it manages to be creative while still being offered to mainstream audiences! So, I think it’s not just that Walking Dead and American Horror Story exist, but that they’re not being treated as niche shows. Thanks Michelle. Still haven’t seen American Horror Story (hopefully it will come out on Netflix instant. No cable here), but I loved Season One of Walking Dead. Uh-oh. I’ve found as a new father of a toddler that I’m definitely more sensitive to these types of story lines. I will watch with caution. I agree with Hunter in that the horror market is bigger and more diverse than ever before. There is a lot of great stuff out there. One thing I have noticed is the modern horror has lost the subtlty and nuance of the classic stuff. The eroticism is no longer implied and the monsters and gore don’t stay in the shadows. Not sure if that is a good thing or a bad thing. I know seeing the alien in “Signs” was a disappointment but the shock of watching the little girl rip her moms throat out in “quarantine” was priceless. So, yes I’d say this is the new hey day of horror, but sometimes I miss the implied violence of the past. Not sure if that answers your question but it’s what came to mind reading Hunter’s post. Oh, and I loved Forest of Shadows. Yeah, tough call, Kodi. I loved the implied fear in “Signs” (the Bigfoot-esque sighting on the television was freaky), but I agree that the actual alien at the end was a little disappointing. But “Quarantine” was terrifying. Hey, thanks, Kodi. And maybe you’ll be the winner of the signed copy. Can’t remember. Did you get the e-copy? Hunter and I share the distinction of being two of The Damned, a rather eclectic bunch of Dark souled wanderers brought together by Joe Pinto. I want to say right off hand that you will not find a better place to find great, dark poetry. Of course, with Hunter involved, you know the prose is exemplary as well. 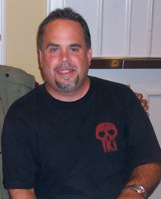 I agree with Hunter that this is the time to be an author, and an especially great time to be a horror author. There is so much to read that is sooo good. Yes, we have some clunkers, too. But the bad will get weeded out. the important thing is that we are able to find great new authors and great movies, which leads to more opportunities for authors in the scrip writing arts. All bodes well. Just a little diligence and gumption and we can grab the brass ring, unless one of Hunter’s monsters decides to eat it. Not scamming, but this is the link for the Pen Of The Damned. Hunter is quite a guy and fits in with this great group. Of course, I’m the only sane one in the bunch. Just saying. Are you kidding? I keep telling you guys to leave links. Especially regular commenters such as yourself. I heard something about this from one of Joe’s posts, but haven’t been over to check it out. Didn’t realize it was a group. Awesome. Will check it out. Damned is where it’s at, Paul! Ha, ha! I love the state of horror at this point in time. Out of curiosity, do you see it continuing to grow, or are we going to cycle back to a more subdued state? I personally feel we’re going to go through a slowing down in growth, momentum like this is hard to keep. Great post Hunter, and great hosting Paul! Hey Jason, we’ll see if Hunter chimes in with his thoughts. I had a friend guest post awhile back with an excerpt from his doctoral thesis turned book on Zombies in pop culture. He asserts (at least in the excerpt) that the rise in horror deals with the rise in our fears, pointing out the drastic increase in zombie films post 9/11. So who knows? Maybe once get past the most recent 2012 end of the world scare, things will calm down. Two of my favorite horror authors, in one post! This is awesome. I want to try out a horror convention, and will keep this page bookmarked for the list Hunter gives… maybe I’ll see one or both of you at one someday, eeee! I think that now is a great time to be any sort of author: horror, sci-fi, literary. The fact that authors can reach readers in an immediate and personal way via social media adds a new and wonderful dimension to the relationship between writer and reader. There is such joy, such opportunity. Thank you for sharing your conversation, Hunter and Paul! Hey Aniko, thanks for stopping by. I agree that there is definitely the possibility for a closer relationship to readers. I’ve always liked Stephen King’s folksy, one-of-us type attitude that he seems to have in his nonfiction or forewords, afterwords or introductions. In this new age of communication, I’d like to try to emulate that with my readers. Thanks again, and I hope you have a good weekend. Jason, I do think that the horror wave will crest, but I think there’s more time to ride it hard. So much is happening on the just the publishing side that I know even bigger things are yet to come. And I forgot to mention in my post the awesome horror themed anime that’s out there, too, like Corpse Princess, High School of the Dead and Rin. That’s just the tip of the iceberg. Aniko, you absolutely have to come to a horror con. It’ll be the most fun you have all year! If you can, stop by Horrorfind in Gettysburg or Horrorhoud in Indianapolis. I’ll be at both. I like the movies out now. I even sort of like American Horror Story, a season of which I watched while on a flight from Vancouver to London. But as for books? Nope and nope. I’ve seen terrible writing out there. I’ve seen the horror section on my bookstore shrink, and be relegated to the most theft-friendly section. And the way it’s looking now, all the books will available by online order, and all the reviews will be by blogs friendly to the authors. It’s a sad state of affairs. Ah Mac, so good to hear from you. And way to stir the pot, my friend. I love it. I think some of the other comments have addressed that while there is some schlock out there, there are also some good new authors to be found. I think you have a valid point, though, in that it doesn’t seem to be in the bookstore. It’s all online. Not familiar with all the authors Hunter mentioned in response to your comment (below mine, I think? ), but I picked up some Scott Nicholson and have been pleased. Although, I think you are definitely right that it’s hard to know when you’re getting (or even giving in certain cases) an honest review that isn’t at all biased somewhat by the fact that the reviewer (or yourself) knew the author, even if only in the blogosphere. Horror sections in bookstores are a thing of the past. Good riddance. It was only filled with V.C.Andrews, King, Koontz and Saul. There are so many uber talents out there putting out quality work. Authors to try that won’t disappoint are Brian Keene, JF Gonzalez, Rio Youers, Tim Lebbon, Chet Williamson, Phil Rickman, Mary SanGiovanni, Tom Monteleone, Bentley Little, Scott Nicholson and Jack Ketchum. And I didn’t even name the great writers with my publisher, Samhain. Try one or two out and see. I agree, Hunter. It is time for new talent to be noticed and enjoyed for the talents they really are. With superb writing, editing, and all the rest, it is a definite, positive wave ready to wash over all who enjoy reading horror. The good will weed out the bad, Paul. It always has, it always will. For those who go the extra mile, the rewards will be there. 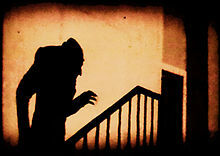 I have always loved horror since my dad let me watch Dracula with Bela Lugosi as a little girl. It did not scare me–but triggered some kind of dark-lust in me that just will not go away. This post got me all revved up for horror books and movies. I go see each new release in the theater (much more impactful that way if you ask me) with my sister and the occasional friend. I will surely check out Hunter’s books–I love to find new horror. Great post and guest post–thanks! Hey Penelope, thanks for the comments. I’m envious that you get to see so many new releases. Between time, toddler and money, the last movie I saw before Cabin in the Woods was probably Super 8. It’s also good you have people who will go with you. I’m fortunate that my wife is also a fan, and we have a good friend who usually talks us into going whenever we do go. So yeah, check out Hunter’s stuff. Hope you are having a good week. Oh Paul–life with a toddler is all-encompassing if you ask me. I don’t think I saw a movie in the theater until my son was 5. I have got to see the Cabin before it vanishes to video-land. We count ourselves fortunate that we’ve seen the movies that we have. Heck, if I was in Joisey, I’d take you on the grand horror movie tour. Cabin in the Woods rocked. Pumped to see Chernobyl Diaries and Dark Shadows. You should pick up a copy of Weird NJ to see all the wicked cool places around you to see and do that will feed your horror soul. I love Weird New Jersey! I lived in the middle of some great places listed there. For example: Clinton road! Oh yeah, baby! I was with a friend visitng Paterson Castle late at night–probably not the best idea to begin with…but…we were looking around outside, then climbed the steps along the front of the building toward a corner spire. The view there was pretty amazing, and as I turned around to look into the woods behind me, a person dressed all in black, complete with a hooded cloak, came from around the back of the building. This was not illusion or ghost, but a scary someone dressed for terror. I could not see his face nor did I hear his footsteps. I turned-tail and ran down the steps, my friend already halfway down ahead of me. The hooded guy did not follow us, but we assume he retreated again around the back because we did not see him up there when we drove down the very long driveway. We did not stick around. I was shaking for a good few hours. We wonder if if was teenager, some kind of ritual we interrupted, or maybe a murderer just waiting for a solitary visitor. But we escaped, and I have a great story.